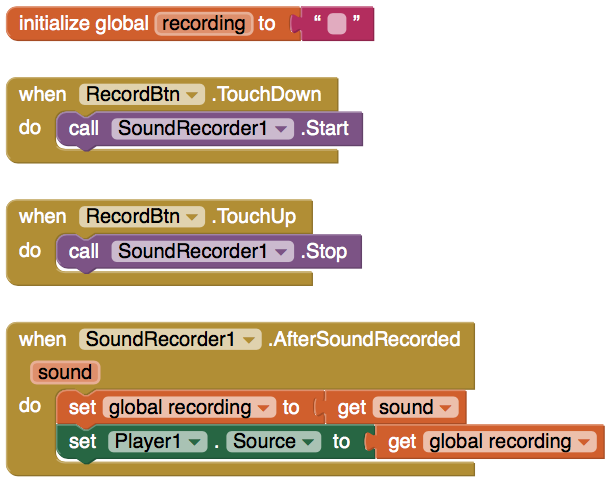 You can make a recording of your voice or a sound, and then you can play back your recording in App Inventor. You need two components: SoundRecorder and Player. STEP 1: Create these scripts for the Record button. 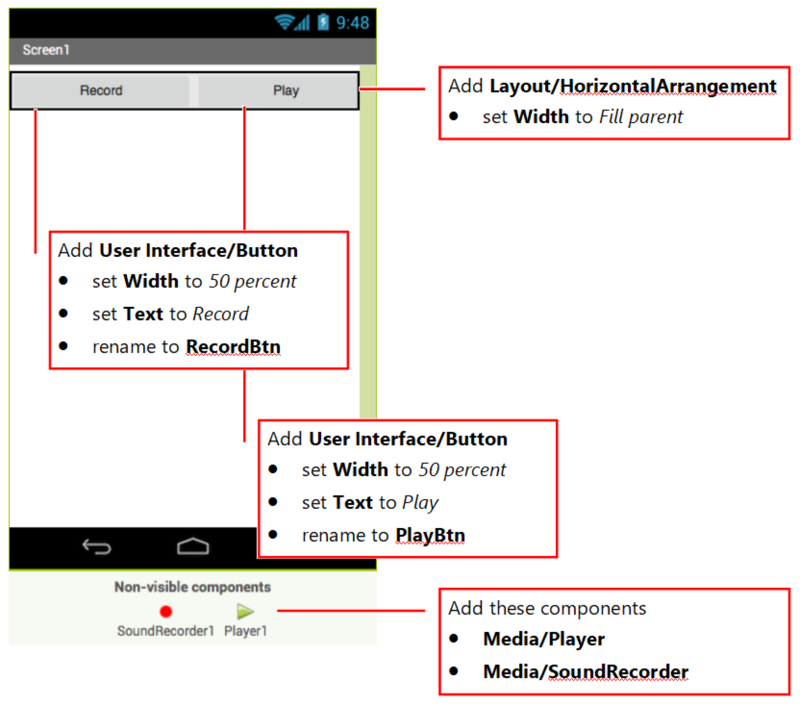 STEP 2: Create this script for the Play button. STEP 3: Try out the app. Press and hold the Record button, and then say something. When you’re done, release the Record button to end the recording. Press the Play button. Can you hear your recording?